Want to see corals, sharks and turtles? 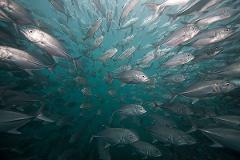 Padang Bai dive sites are great to see just that. Certified divers of all levels will enjoy 1 dive at local sites. Want to see frogfish, nudibranchs and crustaceans? 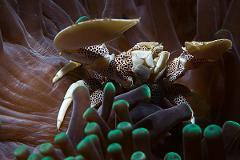 Padang Bai dive sites are great to see rare macro critters. Certified divers of all levels will enjoy 2 dives at local sites. Want to dive at night? 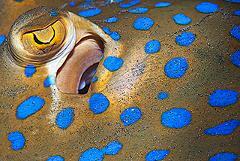 Padang Bai dive sites are great to see a plethora of nocturnal species and amazing macro critters. Certified divers of all levels will enjoy 1 dive at local sites. Want to see corals, sharks and turtles? 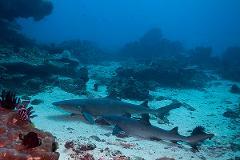 Padang Bai dive sites are great to see just that. Certified divers of all levels will enjoy 2 dives at local sites. 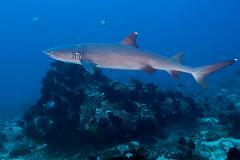 Want to see corals, sharks, turtles, pelagic and sunfish (in season)? 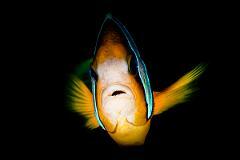 Gili Tepekong and Mimpang dive sites are great to see just that. Certified divers Advanced and above will enjoy 2 dives at local sites. 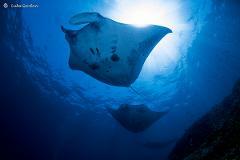 Want to swim with manta rays and hunt the elusive mola mola (best July-October)? 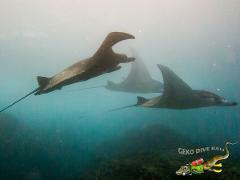 Nusa Penida's Manta Point and Drift dive sites are great for this. Certified divers Advanced and above will enjoy 2 unforgettable fun dives. Never dived on a historic shipwreck before? Tulamben's USAT Liberty shipwreck is an unmissable Bali dive location. Certified divers of all levels will enjoy 2 dives on the world famous wreck on every diver's bucket list. Want to see corals, sharks, turtles, pelagic and sunfish (in season)? 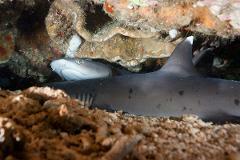 Gili Biaha and Tepekong dive sites are great to see just that. Certified divers Advanced and above will enjoy 2 dives at local sites. Want to drift dive? 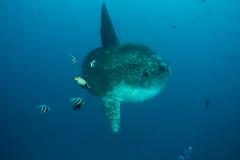 Or hunt for the elusive mola mola (best July-October)? 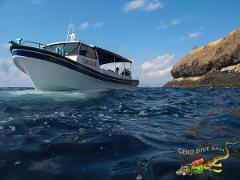 Nusa Penida's Northen Drift dive sites are so great we know you will love them. Certified divers Advanced and above will enjoy 2 unforgettable fun dives. 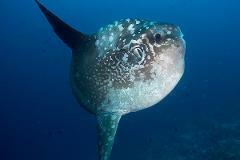 Want to hunt for the elusive mola mola (best July-October)? Nusa Penida's Crystal Bay and Drift dive sites are some of the best dive sites to the heaviest bony fish. Certified divers Advanced and above will enjoy 2 unforgettable fun dives. Want to join us on a special trip to Gili Selang? This dive site at Northwestern tip of the Lombok Strait is seldom dived. Certified divers Advanced and experienced in currents will enjoy 2 dives at this great dive site. Have not dived for a while? Need help to get back in the water? We've got you covered with a Refresher program with 2 dives at Padang Bai's local dive sites. Practice skills and get special attention for your first dives since a while back.